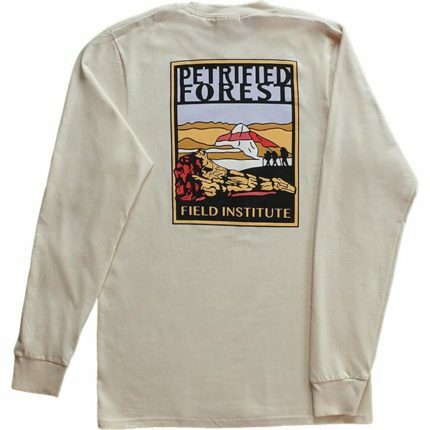 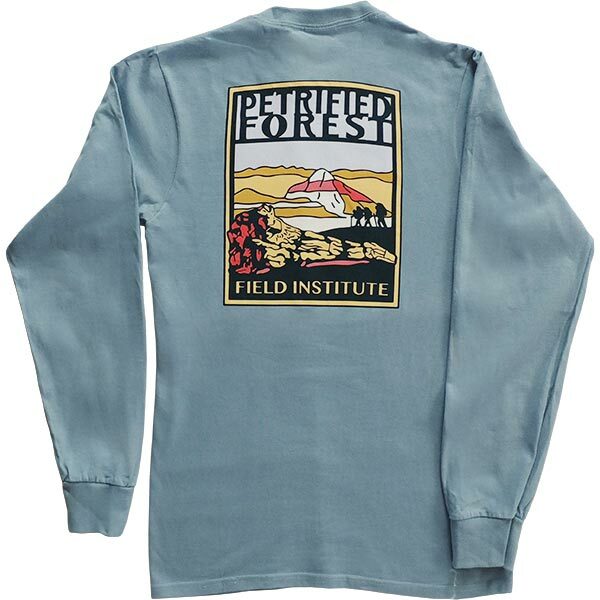 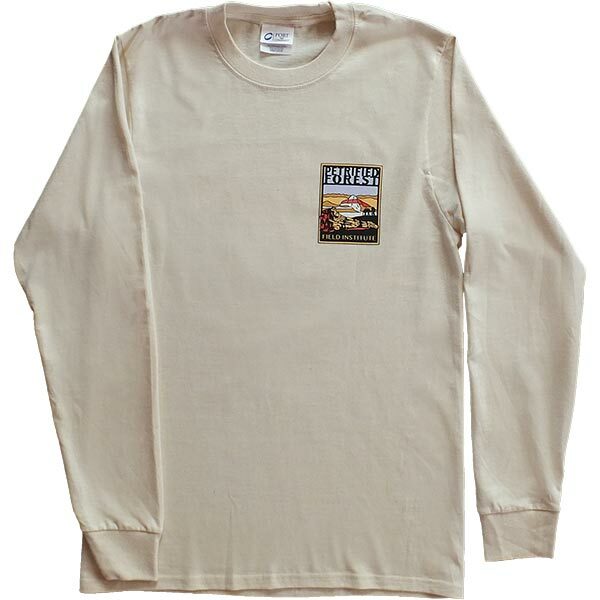 Our Petrified Forest Field Institute long sleeve t-shirt depicts three hikers in Petrified Forest with an iconic petrified log in the foreground. Perfect for anyone who love the outdoors and especially those who enjoy hiking in the Painted Desert! 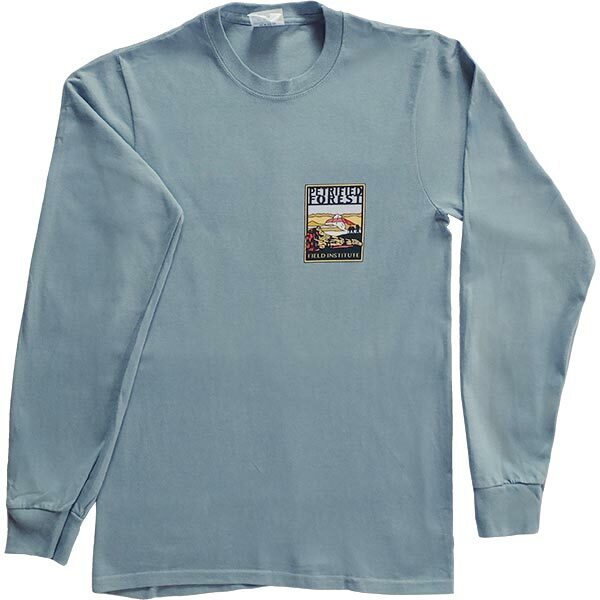 Available in cream and steel blue.